Are you looking for a new mortgage loan? We will be glad to assist you! Call us at (608) 372-9222. Ready to get started? Apply Here. The first number in a qualifying ratio is the maximum percentage of gross monthly income that can be spent on housing costs (this includes loan principal and interest, private mortgage insurance, hazard insurance, taxes, and homeowners' association dues). The second number in the ratio is the maximum percentage of your gross monthly income that can be applied to housing expenses and recurring debt together. Recurring debt includes payments on credit cards, auto/boat payments, child support, et cetera. Remember these ratios are just guidelines. We'd be happy to go over pre-qualification to help you figure out how much you can afford. 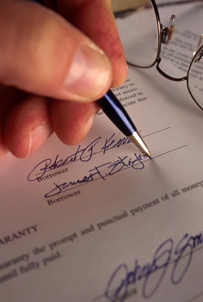 At Affordable Mortgage Financing, LLC., we answer questions about qualifying all the time. Call us at (608) 372-9222.